This store is located next to Von’s in the Poway Town & Country shopping center. Come in and visit our beautiful store full of lovely gifts, collectables, and of course, Hallmark products. We carry a variety of pretty purses and fun fashion jewelry. 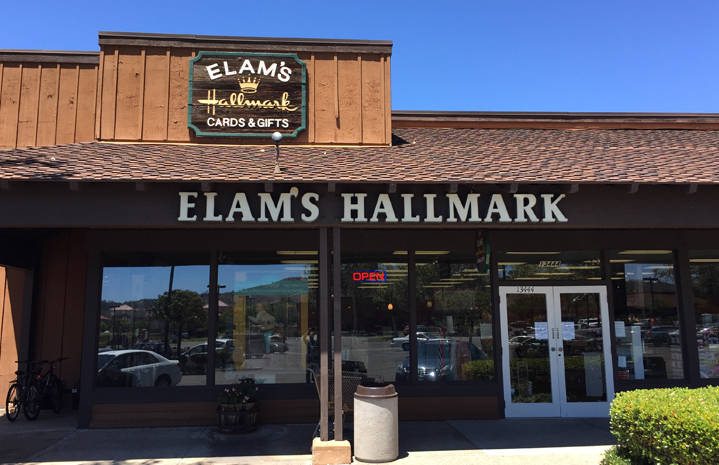 The Elam’s family opened this store in 1981 and it has since become a “landmark” in the Poway community.